Flourish Flower Farm is a boutique flower farm growing specialty cut + heirloom flowers using sustainable, natural practices in the mountains of Asheville, NC. Our flowers are truly mountain fresh! We create lush, seasonally-inspired floral designs in our artfully designed signature style that are perfect for any wedding, special event or celebration of life. Beauty is the language of caring and we believe deeply that flowers make the world a more beautiful and caring place for everyone. Our farm is a labor of love that we hope to share with you! Flourish Flower Farm is owned and loved by Niki & William Irving. We are dedicated to growing only specialty and heirloom varieties ~ producing high quality, organic, fragrant blooms is our priority. 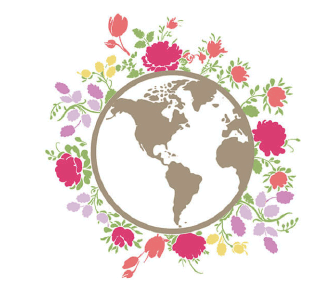 We are passionate about flowers and believe they make the world a more beautiful place! We love to share our love of flowers and the magic happening at the farm with others. Our 'On the Flower Farm' workshop series invites you to join us for an in-depth farm tour, catered food and floral design + flower arranging class. Its an experience not to be missed! We take pride in growing unique, beautiful flowers and then creating exquisite designs just for you. We handcraft lush floral designs especially for you and each design is one of a kind. Everything about your experience with our flowers and designs is incredibly personal and utterly natural. Thank you for joining our flower-loving community!